If your goal is LEED certification for your facility, WAXIE has several LEED AP O+M on staff to assist with a LEED project. These individuals are cleaning industry experts, and can use their demonstrated knowledge of LEED certification to help design and implement a Green Cleaning Program which can help contribute to your LEED project. Whether you are pursuing a LEED v3 or v4 project, or whether your project is LEED O+M, BD+C or ID+C, WAXIE has the expertise to describe how a Green Cleaning Program can potentially contribute. 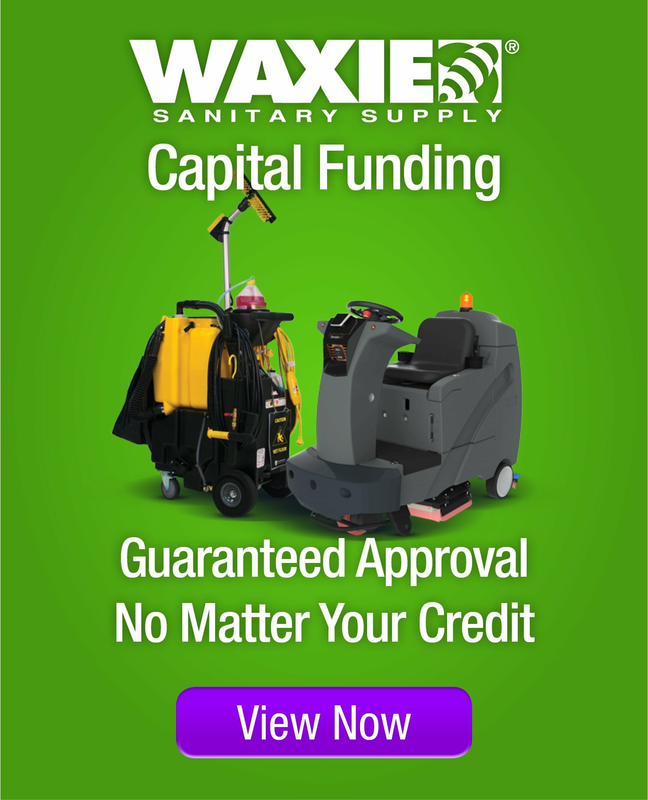 Please contact your local WAXIE Sanitary Maintenance Consultant for more details and to learn more about this potential support for your project in order to determine how best to proceed. Develop a Building Exterior and Hardscape Management Plan and utilize green cleaning and maintenance practices, materials and equipment to clean the building exterior and hardscape. Reduce indoor water use to meet the minimum indoor plumbing fixture fitting efficiency, and potentially exceed this baseline by utilizing water conserving fixtures in the restroom and implementing green cleaning procedures which minimize water use. Install energy saving LED lighting and consider converting cleaning operations from the day to the night to conserve energy. Develop a solid waste management plan which considers ongoing consumables such as paper, plastic, glass batteries, cardboard and food waste, and implement a program which addresses containment and tracking of diversion rates. Develop a Green Cleaning Policy and implement a high performance Green Cleaning Program which utilizes sustainable cleaning products, equipment and entryway matting systems. Establish performance metrics and incorporate tools which assist in measuring and tracking green spend for cleaning product purchases and custodial effectiveness. Pursue exemplary performance in the areas of green spend for cleaning product purchases and custodial effectiveness, and utilize a LEED AP on your project team for operations and maintenance. Or develop a Green Cleaning Policy for your project while it is in the design and construction phase.